Welcome to Epic Events. Seattle and Portland’s professional outdoor movie company since 2002. We rent inflatable outdoor movie screens and provide full-service outdoor cinema rental packages throughout Washington state and Oregon. 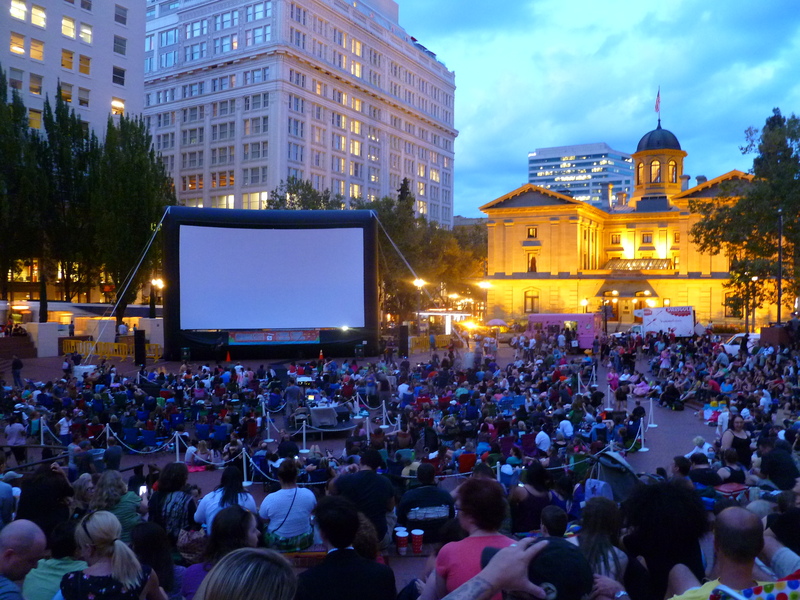 Epic Events produces some of the best outdoor cinema events in the Pacific Northwest. 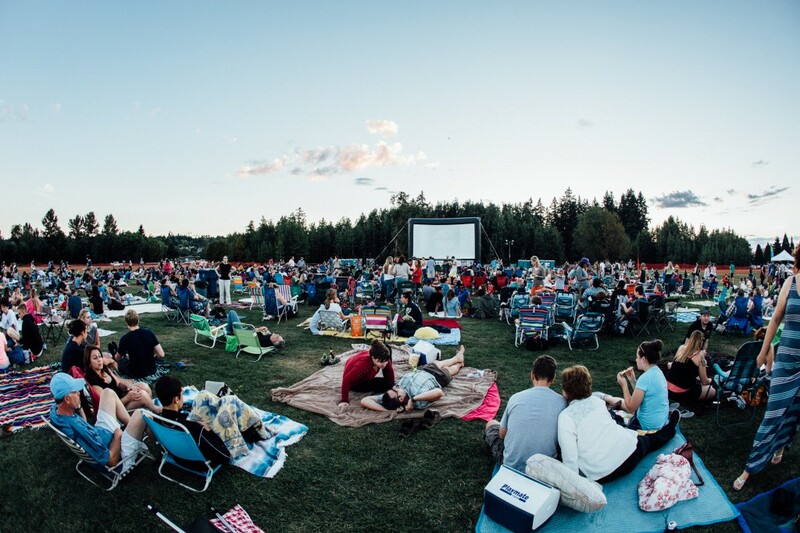 Join us at one of our Epic outdoor movie events in Seattle, Redmond, Bellingham or Spokane. We offer Seattle projector rentals, screen rentals and full service audio visual / AV packages for hotels, conferences, trade shows and special events. Seattle and Portland’s best outdoor theater rentals. Have your own outdoor movie event and let Epic Events do the work. We provide inflatable outdoor movie screen rentals, projectors, speakers, microphones, delivery and professional production for outdoor cinema events and theaters. 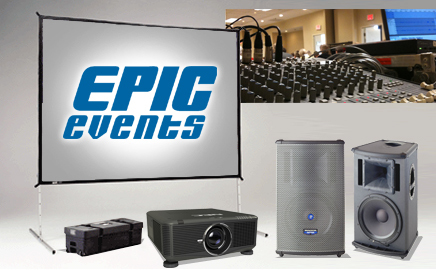 Since 2002 Epic Events has been the go-to outdoor movie equipment rental company in the Pacific Northwest. Please contact us today for a quote or visit our Outdoor Movie Rental page. 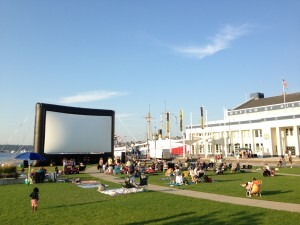 Epic Events produces some of the best outdoor movie events in Seattle, Redmond, Bellingham and Spokane, WA. Our annual outdoor cinema events include the area’s best food trucks, live acts, trivia, movies under the stars and are all dog friendly! Please join us this summer for one of our movies in the park. Click an event below for more information about our Epic outdoor movie events including dates, movies, food and entertainment. We rent projectors and screens and provide full-service audio visual packages for corporate events, conventions, trade shows, conferences and special events. We offer top of the line equipment and service at a great price. Epic Events services Seattle, Portland and surrounding areas including Bellevue, Redmond, Kirkland, Everett, Tacoma, Bellingham and Washington state. Contact us today or visit here to find out more about Audio Visual and Projector Rental. Epic Events has outdoor summer jobs in the Seattle area working with our outdoor cinema production staff. If you’re interested in a fun summer job in the Seattle area please contact us. Tech positions include setting up and operating outdoor cinema equipment, screens, projectors, AV equipment as well as driving, loading and unloading trucks.